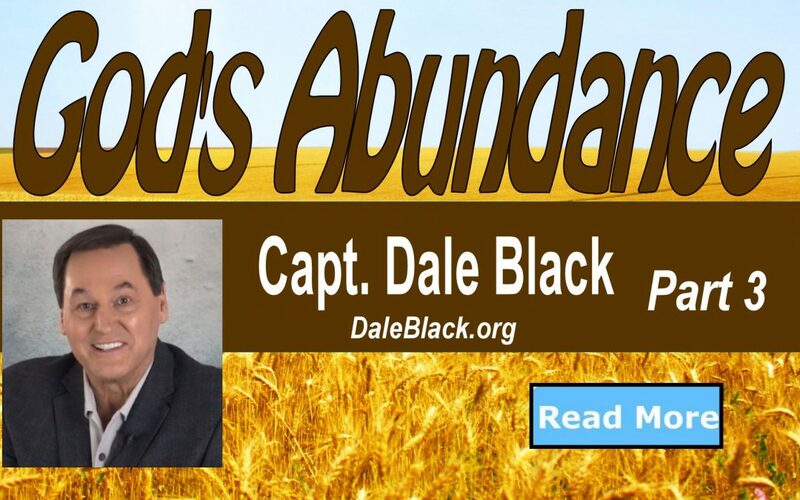 God's Abundance Part 3 - Dale Black - Capt. Dale Black - Author of "Flight To Heaven" and "Life, Cancer & God"
A few weeks ago I wrote a letter regarding the Abundance of God. We discussed what I refer to as 5 keys to accessing God provision. The first key, which I detailed in a previous newsletter, is to know that “God’s provision is found in His promises.” Today we’ll look at the second key or principle of God’s Abundance. The promises of God are our inheritance. They are promises that God gives to His people. In the Old Covenant, through His servant Joshua, God brought His people into a land of promise. In the New Covenant, through Jesus, God brings his people into a land of promises. Old covenant – a promised land: new covenant – a land of promises. Let’s look at the book of Joshua where God expresses the basic conditions for the people inheriting the Promised Land. God first reminded Joshua, “my servant is dead” (Joshua 1:2). Before we can enter into something new, there has to be the death of something old. Spiritual life resembles seasons of the year. In Ecclesiastes 3 the scripture describes a continuing ongoing cycle—a time of life and a time of death. Just as winter brings death, spring brings life. This is a powerful principle that applies not only to God’s creation but to the way God deals with mankind. God only blesses that which has died and been resurrected. We die to self in order to live for Christ (Romans 8:13). The transition from Moses to Joshua represented one of those times. God said, “Moses my servant is dead. Now therefore, arise, go over this Jordan, you and all this people, to the land which I am giving to them—the children of Israel. Every place that the sole of your foot will tread upon I have given you, as I said to Moses.” (Joshua 1:2-3). This was the inheritance of God’s promise. It’s interesting, that God didn’t leave anyone out of this promise. It was to “all this people.” Anyone who would take the action required and cross over and take possession of the land, reaped the promise. Notice that God spoke in the present tense when He said: “I am giving them the land.” Then God said in verse three, “I have given you…” Once God gave it, it was given. Done. God’s part in the transaction was complete. From then on, it was spoken of in the past tense. From that moment on, the land legally belong to the children of Israel. In our situations, carrying this principle into the New Covenant… we must look at the difference between the legal and the experimental. As an example, in the many times Paula and I have ministered healing to someone, the person in need is waiting for God to answer their prayers… waiting for God to do something else that will affect their situation. But in reality, God has done all He is going to do already. He sent His Son to earth to provide access to all the promises of God. Jesus died on the cross and took stripes (whippings) on His back for our healing. Healing is one of those great promises God provided through Jesus. Legally, when you come to Jesus Christ, you become an heir of God and a joint heir with Jesus Christ. Legally, healing already belongs to you. But there is a great difference between the legal and the experimental. You may own much legally, but enjoy very little in the actual experience. This can be illustrated by the following example: If Joshua and the children of Israel have been like believers today they would have lined up on the east bank of the river Jordan, looked across the river, folded their arms and said, “We’ve got it all.” That would have been legally correct, but experimentally incorrect. Some Christians, who accept the reality of God’s promises, might have crossed the river, stood on the West Bank and looking back at those still on the other side and said confidently, “We’ve got it all.” But in actuality they would have simply been one step further – yet still not experiencing their real inheritance. Then there are those who do what God instructed when He said, “Every place that the sole of your foot will tread upon I have given you.” He expects us to take confident action in order to take possession. Here’s another interesting fact. Have you noticed that God brought the children of Israel into the Promised Land by a miracle and then gave them their first victory over Jericho by a miracle… but after that they had to fight for every piece of land they possessed? This principle is common in new believers. They often experience wonderful miracles following their new birth, which causes their faith and trust in God grow. As a seasoned Christian, you may have been frustrated by the ease with which a new believer receives from God. But He always requires that we mature and grow in our faith. We must learn to fight for the promises God has provided and cannot expect to get our inheritance without conflict. This world is a battlefield with resistance we must overcome in order to truly and fully experience God’s blessings in our lives. I am reminded of Ephesians 6:10-18 where we are taught to take up the armor of God in order to be successful—knowing that we are fighting a spiritual battle to possess all that God has promised. God has given us wonderful and powerful promises. These promises make up the Abundance of God. In addition, God has taught us how to possess these wonderful promises. It is now up to us to learn, grow and overcome. Coming soon will be part 4 of God’s abundance. Until then remember, with God nothing is impossible. You, our partners and friends, remain in our hearts and prayers. *Coming to Alabama: Dale and Paula will be speaking at World Victory Church in Moody, Alabama on April 14, 2019. Details will be placed on the Events page soon. “My name is Austin and I am in 6th grade. I have a ginormous passion for aviation and I want to become an airline pilot someday. I recently checked out your book at my library and I am just truly awestruck at your experience. No book has ever made me cry but this one did it for me. To think of the severity of the situation makes my eyes water.” Austin S.
“Thank you Dale and Paula. You have made a difference in my life. I have been encouraged and have learned many things from your teachings. 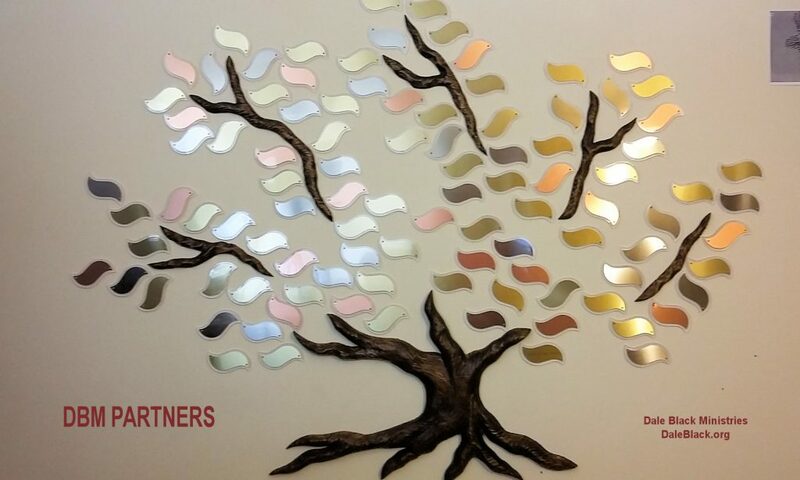 I feel you are part of my family and I thank God for you.” Don B. 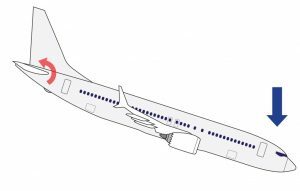 Aviation News: Boeing 737 MAX – How Does the MCAS System Work?